He’s got the Daytona 500 and he’s got the 600-mile race at Charlotte. Now he just needs Darlington and Indianapolis. And Kurt Busch, driver of the No. 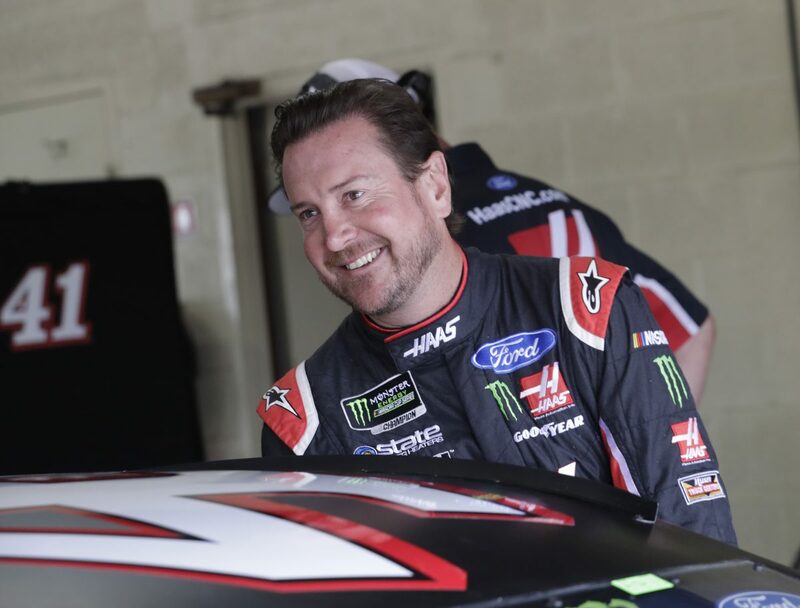 41 Haas Automation Ford Fusion for Stewart-Haas Racing (SHR), is ready to try and win another crown jewel event at Sunday night’s Bojangles’ Southern 500 at Darlington (S.C.) Raceway. Busch is coming off a win Aug. 18 in the Bass Pro Shops NRA Night Race that solidified his spot in the 16-driver playoffs. It was the 30th victory of his career and he now has earned six trips to victory lane at Bristol. But before the playoffs begin, Busch would love to make a little history at two of the greatest tracks in the world. Only four drivers have won the four crown jewels and they are legends of the Monster Energy NASCAR Cup Series. Dale Earnhardt, Jeff Gordon, Jimmie Johnson and Kevin Harvick are the only drivers to see the checkered flag first at the Daytona 500, Brickyard 400, Coca-Cola 600 and Southern 500. Busch has had some success at Darlington, including nearly winning the spring race in 2003. In one of the most memorable finishes in NASCAR history, Busch came up .002 of a second shy of victory at the track “Too Tough to Tame” when he was nosed out by Ricky Craven in one of the closest finishes in Cup Series competition since NASCAR instituted electronic timing in 1993. His No. 41 Haas Automation Ford this weekend will sport a paint scheme that looks very much like the No. 97 Ford Taurus he raced 15 years ago. Busch added a third-place finish at Darlington in 2010, and he won the pole position in September 2001 and April 2013. If Busch is to be successful this weekend, he’ll have to battle the odd shape of Darlington’s racing oval. Darlington is egg-shaped, 1.366 miles in length – the odd shape because its western half needed a tighter radius in the turns as founder Harold Brasington promised Sherman Ramsey, who owned a farm next to the property, that he wouldn’t disturb his minnow pond when he built the track in 1949. Busch is hoping he can get a little stripe on his car on the road to victory, and to get another of the four crown jewels of NASCAR. What would a win at Darlington mean? Are these 500 miles at Darlington the most difficult in all of NASCAR? What do you think of the retro feel of Darlington? Do you remember your first race at Darlington? Your first stripe? Other than the finish with Ricky Craven at Darlington, do you have any other memorable moments that stand out?